"We Have Located All The Footage.."
Yes! The SUPERMAN IV DELUXE EDITION was very interesting for fans… But Warner didn't include the scene of Clark on the Kent grave's. Do you know why? Well, the scene of which you speak was among a clutch that never made it to disc as its pretty obvious from the condition the rest were presented in that this footage was salvaged rather than finished. From the temporary music track in the Nuclearman I battle to the unfinished flying effects, there is no way what remains was shown in the infamous test screening back in the day. I would really do anything to get my hands on a copy (at least a retched workprint) of the complete movie! I bought Warner Bros.'s "4 Film Favorites: Superman," which featured all four movies, and I immediately checked-out the special features of "Superman IV." 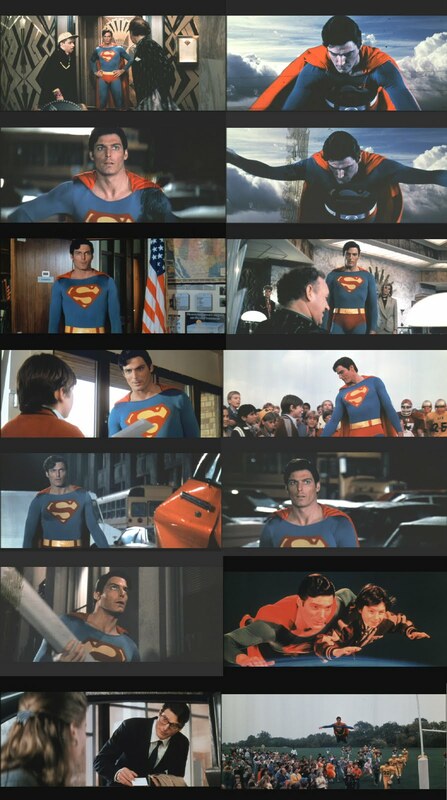 Anyway, I searched high and low for a complete version of the film, and stumbled across something very intriguing on "FanEdits.org" – And this was a fan-edit that combines the cut scenes, and uses comic strip images from the official DC Movie Adaption to fill in the gaps. Where can i watch the quest for coherence? Ive always been curious to what the full movie would be like. Why didn’t they use the finished versions instead of the crappy workprint footage?